Afternoon STEAM Club Programming. The foundation of our club curriculum is STEAM education. STEAM is an acronym that refers to education-related programs in the disciplines of science, technology, engineering, arts and mathematics. STEAM education indicates integration of at least two of the STEAM disciplines within a curricular activity. 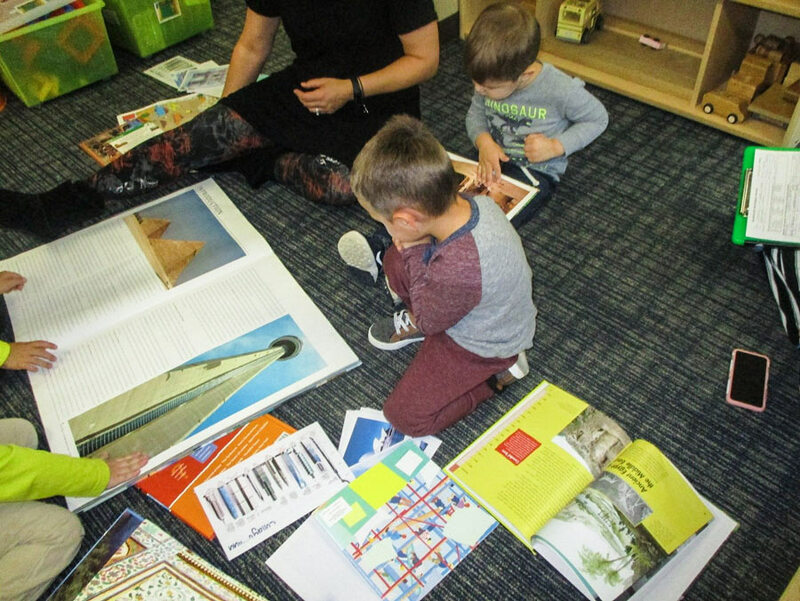 Our club curriculum is designed to support and enhance young children’s learning through quality activities that expose children to new concepts/ideas and encourage children to use their developing skills in a variety of creative ways. Our wonderful teachers plan month long studies on a given topic. You can register your child for as many or a few club days as you would like. We do encourage signing up on the same day, for a month-long duration however for your child to gain the full experience. Your child will still enjoy many wonderful activities if they join us for a day, but they may not have the complete product to take home that is being created over the course of the month. We are offering Clubs to preschool and kindergarten children Monday – Friday afternoons from 1:00-4:00 pm. Each Club meets one day per week. Each Class is $30.00 per day/class with the option to include lunch from 12:00-1:00 and/or Afternoon extension from 4:00-5:00 for an addition $10.00 fee per day/extension. The Spring Session will run from March 1 – May 24. Step one: Look at the attached calendar. Choose clubs that work for your child. Write Child’s Name in the selected date(s) on the calendar. Step two: Calculate your costs per clubs and/or lunches and fill in the attached registration form along with your payment. Step three: Turn in the completed calendar, monthly registration form and payment into the marked box in your child’s classroom. The registration for Spring Clubs is due Friday, February 15th. If you plan to register your child month by month, please turn in your form by the 15th of each month prior so we can schedule teachers and purchase materials appropriately. Cancellation Policy: Classes are subject to a minimum and maximum enrollment. In the event of our cancellation, HeartPrints will attempt to notify you in advance and offer you another club selection. Missed classes will not be refunded or credited. Any changes must be pre-approved by Grace or Julie. The students will be responsible for planning and starting our Heart Prints’ Garden. They will decide what to grow, make a square-foot blueprint, plant seeds, raise plants indoors, and transplant them into the ground when ready. Student will learn hands-on tips and tricks for creative a thriving garden such as bug repellant, soil health, and appropriate watering. They will also enjoy outdoor activities as much as weather permits in our Heart Prints Forest. The 3 R’s of keeping a healthy planet will also be integrated into Monday Club: reduce, reuse, recycle. In keeping with the “STEAM theme” children in the Tuesday club will enjoy learning about chemistry, biology, ecology and physics. This club will be a great time for exploration and hands-on activities. All future scientists welcome. The teacher will engage the children on Wednesday afternoons. Her love of music, art, and drama will captivate the children’s attention. From classical music to art enrichment to collaboratively writing and putting on plays…these kids will be busy! In this club, children will be excited to learn about this huge world that we live in. They will explore where people live, the foods that they eat, the games they like to play and more! Children will use technology to help them research and share their findings with their families and friends. Our friends from “Meals on Wheels” are excited about the Friday cooking club starting up again. After taking a break for the summer, the children will be baking and sampling delicious treats that we will deliver to this great community program. Children will be using every day math concepts as they measure, mix and pour. Addition, subtraction, multiplication and even division will be explored.